Sometimes webmaster use the back way “../../” to loading CSS. 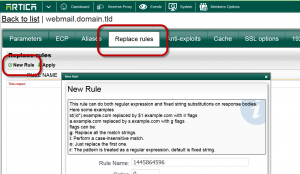 With the reverse proxy, these methods should corrupt the web page. 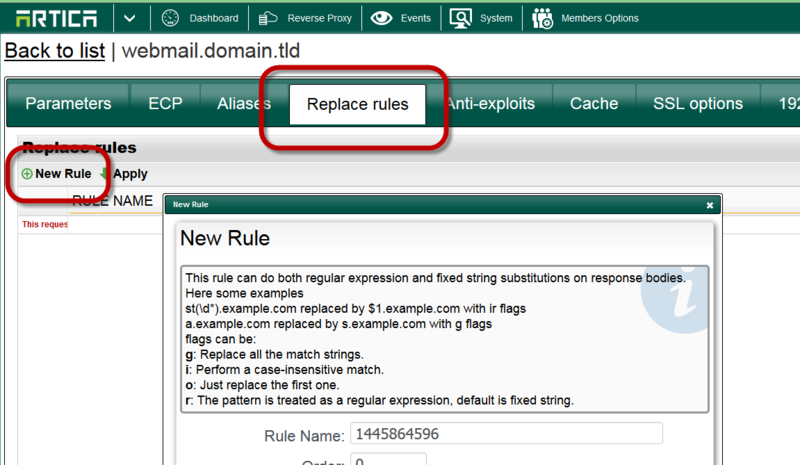 The replace rules feature allows you to fix this issue. Choose your Website on your reverse sites. Click on New rule button. 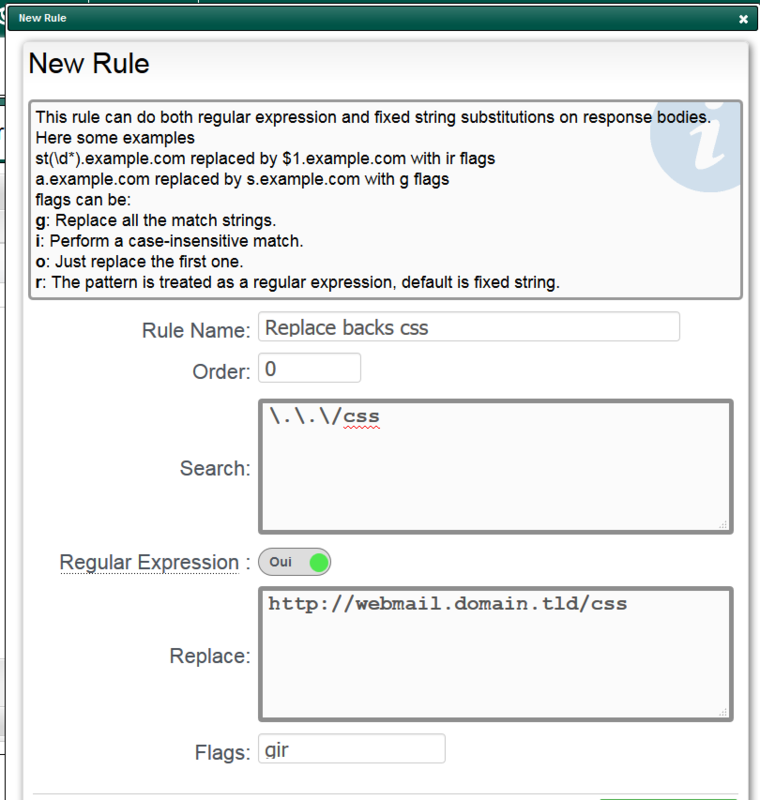 On the search field, set the regular expression that should match your ../ pattern ( dot and slash are escaped by a “\” ). 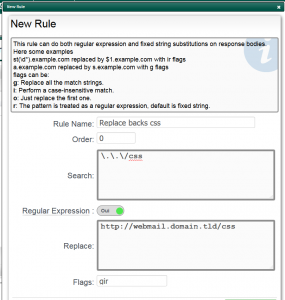 Turn on the regular expression option.